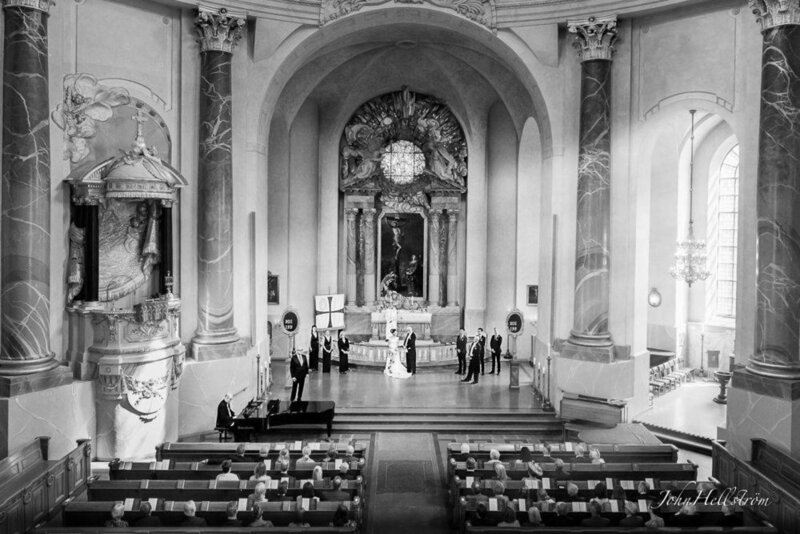 Noy and Sten got married in Sweden's largest dome church, the wonderful Hedvig Eleonora Church in Stockholm (see the picture above). Hedvig Eleonora Church is located on the main street at Östermalmstorg in Stockholm, Sweden. It opened August 21, 1737 and is named after of Karl X Gustav consort Queen Hedvig Eleonora. After the ceremony, they had their reception in the exciting Bååtska Palace. The Bååtska palace is the Stockholm County 164th memory building, and will therefore be preserved for all time. A wedding portrait inside the Baatska palace. 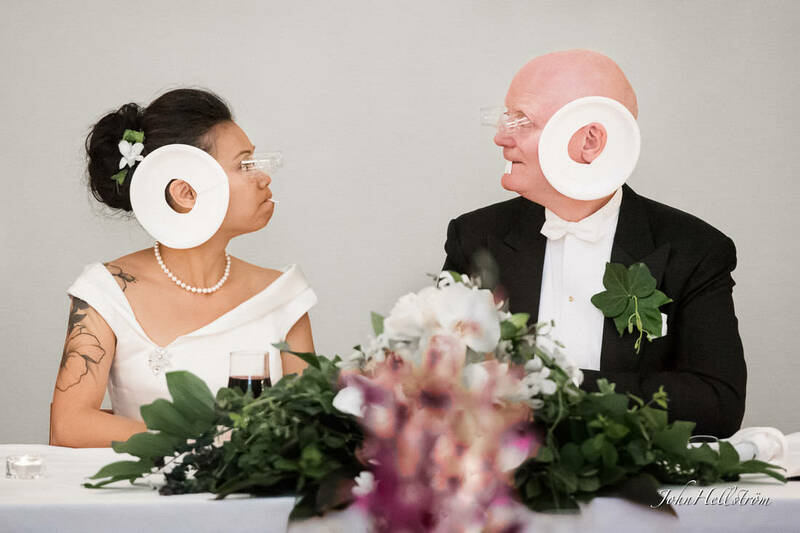 John Hellström is a portrait and wedding photographer from Stockholm, Sweden. Contact John here.